One of the best things about blogging is being your own boss. I get to pick what does and does not make the blog. In some ways, I'm a curator of fashion. When I was contacted to represent Harrods on Fashionable Collections, I didn't hesitate in saying yes. Harrods is one of my all time favorite department stores. Thinking of it brings back wonderful memories of my trip to London as a kid. 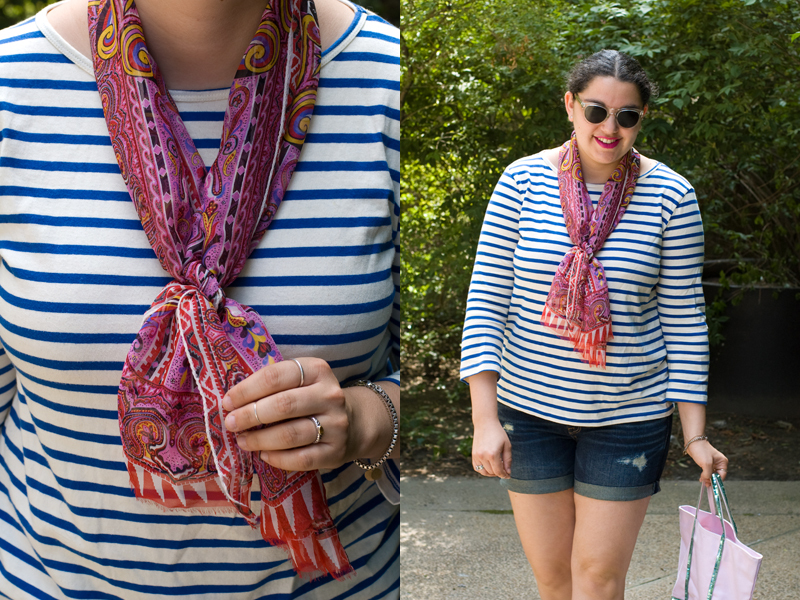 Being asked to style a silk scarf was a little out of my comfort zone, but damn have I been missing out! 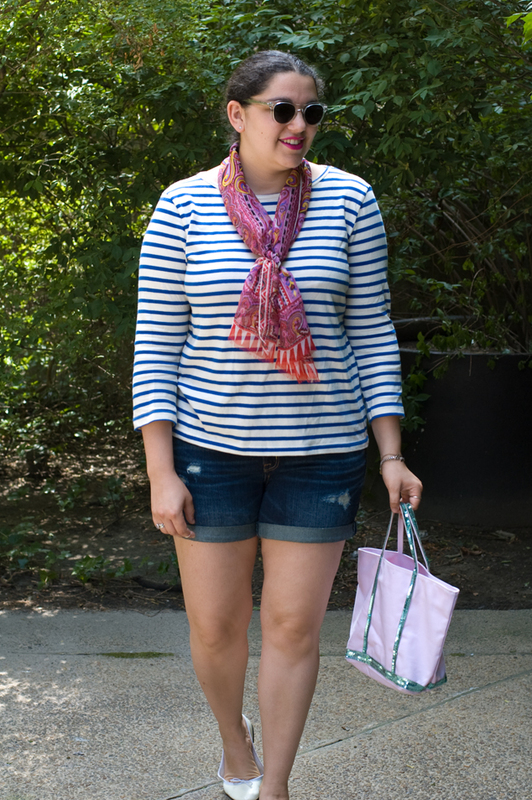 This scarf is a great accessory and adds an awesome pop of color to my outfit while not being too thick or too heavy. I'm excited to continue to experiment with it as NY begins to change seasons.